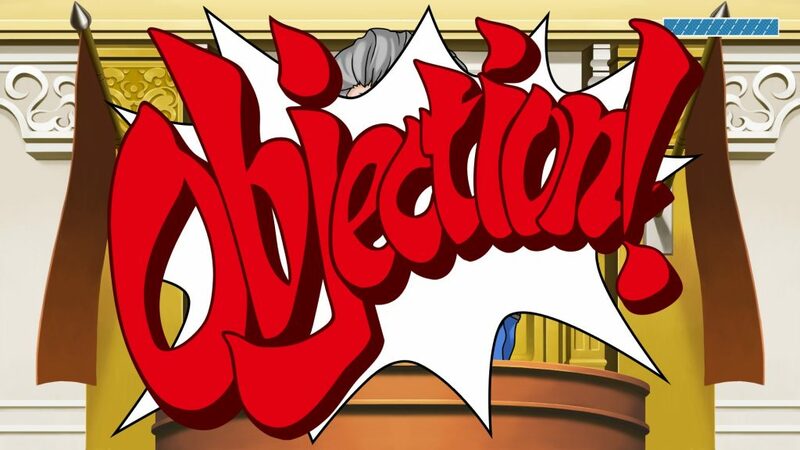 Although the Ace Attorney series first began on the Game Boy Advance it wasn’t until it made its way to the Nintendo DS that fans in the West had a chance to experience the courtroom dramedy that the series was capable of delivering. Throughout the years the first three games in the series have appeared on various Nintendo platforms and even on mobile devices but this marks the first time that the game’s have appeared on anything related to Microsoft so now that Phoenix Wright: Ace Attorney Trilogy has been released on Xbox One, does the series still hold up all these years later? After suffering from so many lengthy cases that were bogged down with countless technicalities the court system has undergone a reform where all trials can only last for a few days at a time before a guilty or not guilty verdict is handed down. Phoenix Wright is a rookie defense attorney who has been working for his mentor, Mia Fey and has now been assigned his first case. Unfortunately for him, it just so happens that the first case happens to involve defending his childhood friend from being accused of murder. What starts out as a seemingly slam-dunk murder conviction is quickly picked apart by Phoenix and his mentor Mia but just when one case comes to a close, one that hits even closer to home arrives alongside Mia’s younger sister Maya. 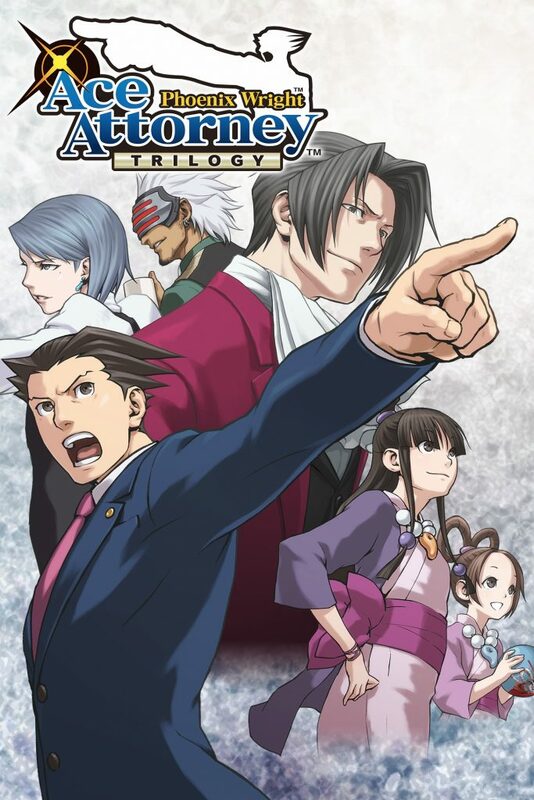 Designed as a visual novel with investigative elements and puzzle solving, Phoenix Wright: Ace Attorney Trilogy features three separate games in the form of Phoenix Wright: Ace Attorney, Justice For All, and Trials and Tribulations with each of these three games offering their own unique set of trials that eventually tell an overarching storyline tying Phoenix together with the Fey family line that is mixed in with a variety of cases that are also seen as one offs. One thing every case does see is Phoenix having to deal with hostile prosecutors willing to break the law to get a guilty conviction, uncooperative witnesses, and of course true suspects that are trying to keep themselves hidden. 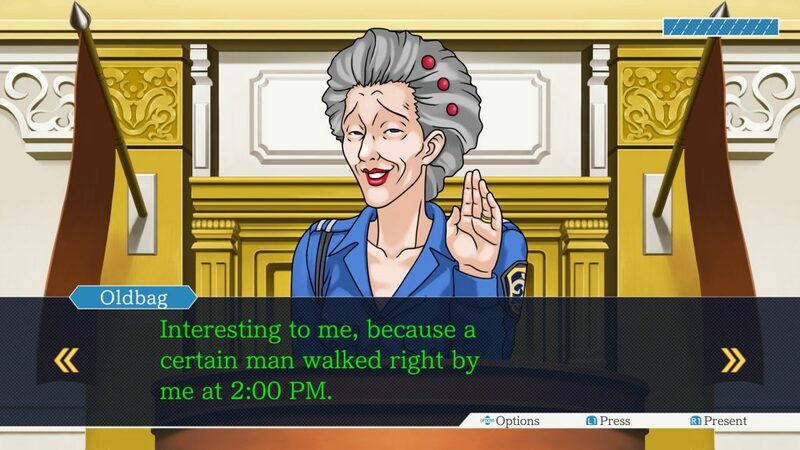 While the court cases are incredibly interesting and feature a variety of twists and turns that some may see coming but others will be caught entirely off guard, some of the best parts of the Ace Attorney Trilogy come from the colorful cast of characters and quirky writing that accompanies them. Phoenix is usually accompanied by his helpful side-kick Maya but a number of other assistants help along the way and chime in with various puns or jokes depending on what the player is looking at or who they are talking with at the time. The wide-ranging personalities of the various suspects and witnesses also make for a great time since a player will never quite know just who, or what, may be called to the stand to testify and it is almost always a blast to see how they react as they are cross-examined. That doesn’t mean that every case is great though, there are a few that feel a bit weaker than others but considering there are so many available in this trilogy that is only a small weak point as they will quickly be forgotten about next time through. Of course the localization really hasn’t been touched up since the original so player’s can expect plenty of odd localizations but at this point that has become part of the series’ charm. 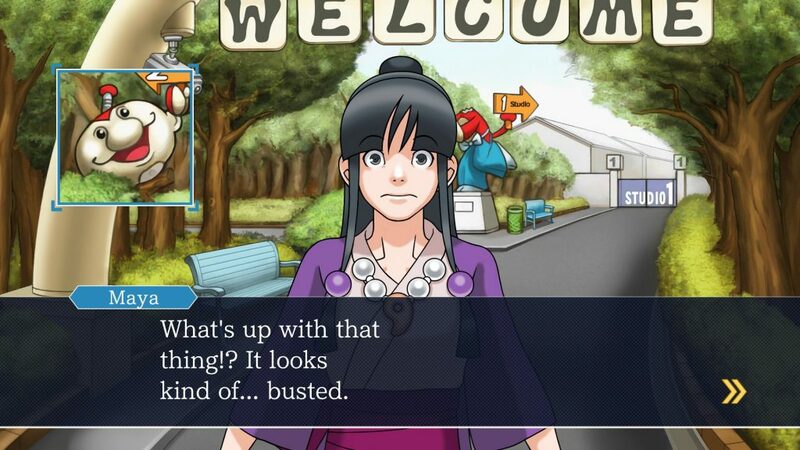 Every case that is introduced in the game is broken down into two key components, investigation and the courtroom. Phoenix’s job as a defense attorney also sees him playing a detective as he must explore the various key areas surrounding a crime scene and searching high and low for various clues while also talking to witnesses that may have seen or know something about the crime. Listening to these witnesses, asking questions, and using pieces of evidence to extract more information from them all prepares Phoenix with additional evidence and more ammunition that can then be used in the courtroom. 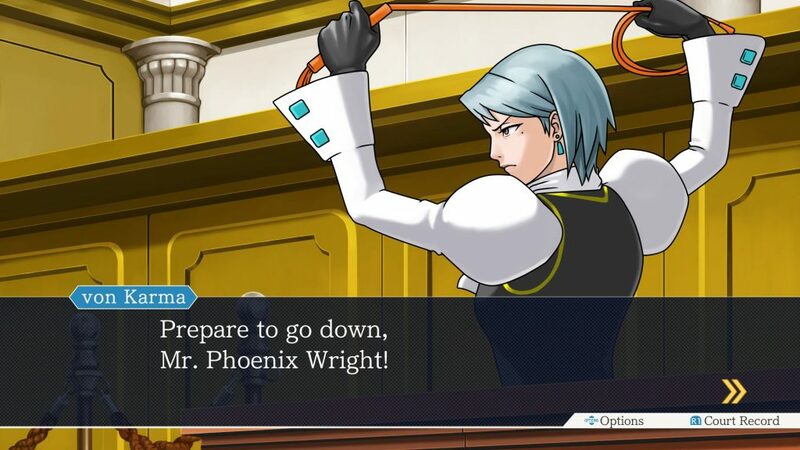 Initially, once in the courtroom Phoenix must then contend against a prosecutor and worry about keeping the judge happy as well. As the prosecutor brings forth witnesses to give their statement it is up to Phoenix to either press their individual statements for more information at no cost, or present evidence to prove that they are lying or have forgotten a key detail. It is worth noting that presenting evidence incorrectly does lower a “health bar” that when empty immediately declares Phoenix’s client guilty and ends the trial with a game over. More often than not players will find themselves going through multiple stages of examining new locations and finding additional evidence as the trial progresses and new information comes to light so be prepared for a little bit of back and forth to locations that may have been examined before but now have a little bit of new info to be gleaned from the area. After the first game players will be introduced to a newer mechanic in the form of psyche-locks where, with the use of a Magatama, players must break the locks that keep a witness from hiding the truth and can do this by presenting evidence or proving certain statements are incorrect. This additional feature does make the courtroom sections a bit more complicated but not by much. It is worth noting that the issue of presenting the proper evidence at the wrong time or during the incorrect statement is still a problem that will see the player lose health despite it actually proving the statement to be false since the game’s puzzle solving remains strictly linear in this regard. It is also worth noting that players should make frequent use of the game’s multiple save slots and the ability to save at any time you wish. This not only allows for a bit of “trial and error” when it comes to presenting evidence but also as a way to make sure you don’t miss any important dialogue. Unlike more recent games in the series there is no way to access the text log in any of the three games in this trilogy. 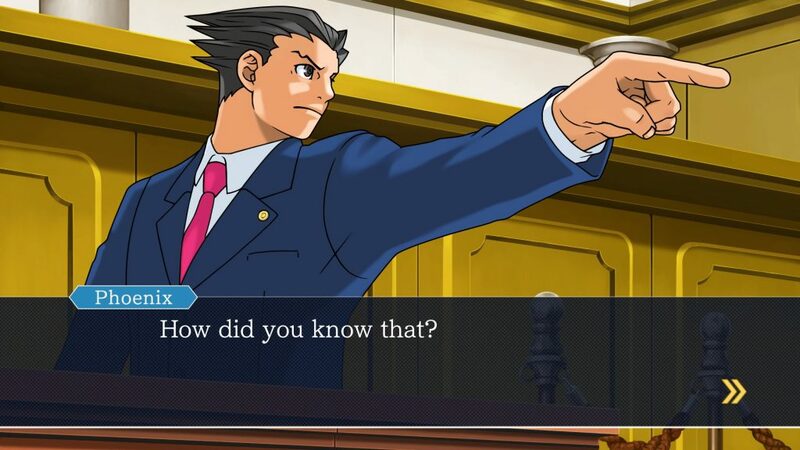 While re-examining, repeating a question, or even presenting a piece of evidence again during exploration sequences generally will repeat the same dialogue there is no way to repeat dialogue in the trial area outside of cross-examination, meaning if you miss a statement you are out of luck. It is a bit difficult to believe that, even though they have already been touched up over the years, that these games originally were released on the Game Boy Advance. Even compared to their DS counterparts the new high-resolution graphics present in the Phoenix Wright: Ace Attorney Trilogy are crisp in design with plenty of charm. Exploring the various crime-scenes and talking to the colorful cast of characters that make up the series are a visual delight. The soundtrack also remains as classic as ever with all of the classic tunes returning but it is worth noting that outside of signature catchphrases that are shouted out in the courtroom, these games do not feature any actual voice work. To this day Phoenix Wright: Ace Attorney Trilogy remains a classic that begs to be played by anyone who enjoys visual novels, puzzles, or even simply a bit of courtroom drama as this set of games offers an amazing compilation of games featuring splendidly written characters and court cases that easily stand the test of time. It is a bit bare bones as far as new content goes for anyone who may have played the original games but with some touched up graphics and easily over fifty hours of content across all three games, the Phoenix Wright: Ace Attorney Trilogy delivers a well-written storyline that newcomers will adore. The Phoenix Wright: Ace Attorney Trilogy may not offer too much in the way of new content for returning players but it does offer the best possible experience for those who have yet to play these amazingly well-written games.